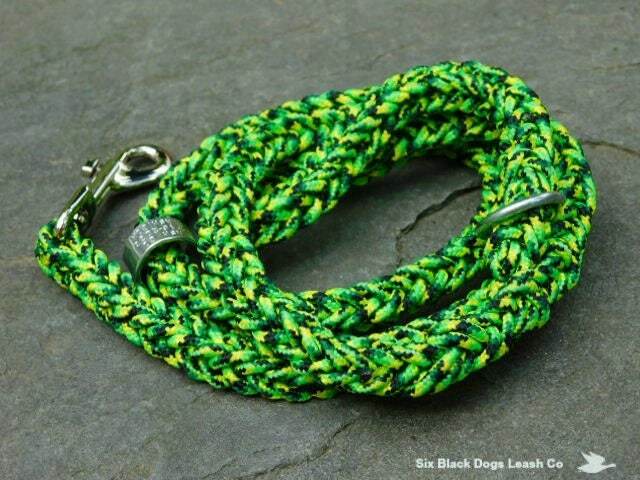 Lime Green/Bright Yellow/Black Multi. Paracord with solid brass snap bolt. 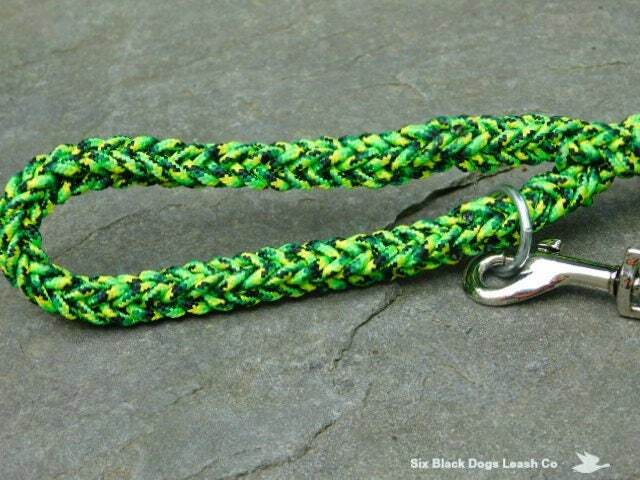 Made with 325 paracord using the 6 strand square braid design. 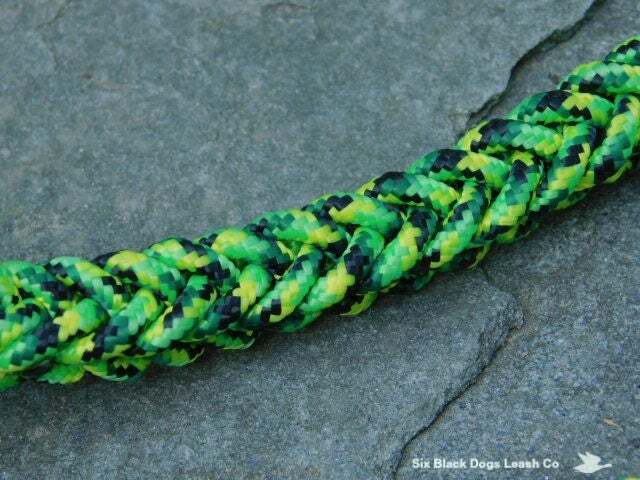 Makes for a bit more substance even though its a smaller diameter paracord.